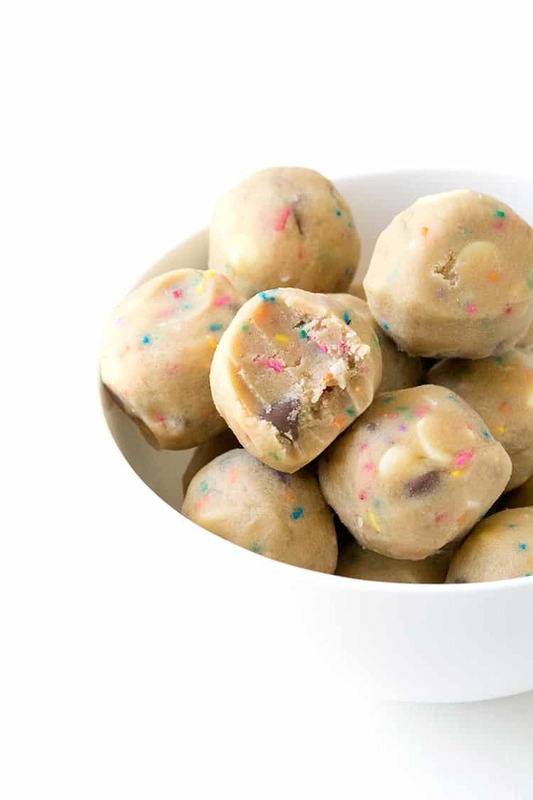 You’ll love these homemade Funfetti Cookie Dough Balls made from scratch. 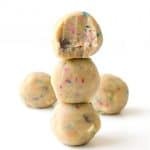 This egg-free edible cookie dough is filled with funfetti sprinkles, milk chocolate and white chocolate. 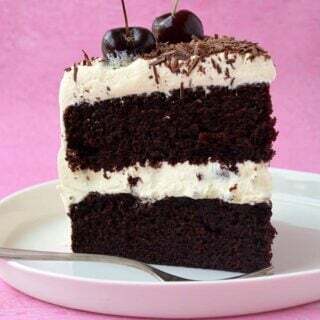 1 It’s delicious. 2 It’s easy. 3 It goes with EVERRRRYTHING. 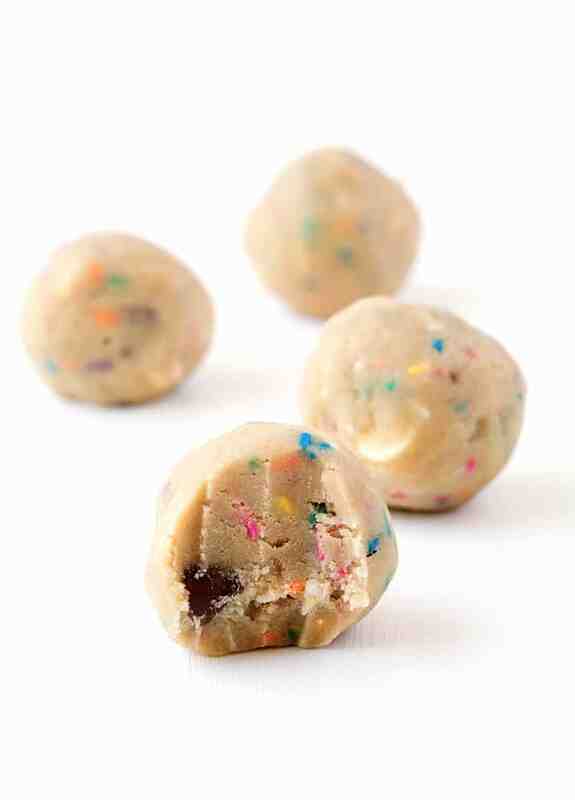 I can’t wait to show you how to make my edible funfetti cookie dough. My recipe comes complete with white chocolate chips, milk chocolate chips AND sprinkles! It’s the perfect sweet treat. I mean when is cookie dough EVER a bad idea? Never ever. I’m a huge cookie dough fan and just recently saw there are places opening up that JUST sell cookie dough, and cookie dough-related treats. Umm yes please!!! This weekend, we took a road trip to the Blue Mountains. I had never been but it’s one of those places that always makes it to the top of the tourist attraction list. So we thought we’d better tick it off the bucket list. And it really is a beautiful place. We were able to do some stunning bush walks, admire waterfalls and eat good food (of course). Can you believe today is actually our 1 year anniversary of moving to Sydney? I can’t believe we’ve been here for 365 days. I can still vividly remember arriving that first night, after a 12 hour drive. We sat on our airbed in an empty apartment and wondered what our new city was going to be like. Well I can now say year one has been filled with sunny days at the beach, road trips to newfound places, countless eating adventures at cafes, restaurants and coffee bars and amazing dinner dates with new friends. Sydney, you’re all right. 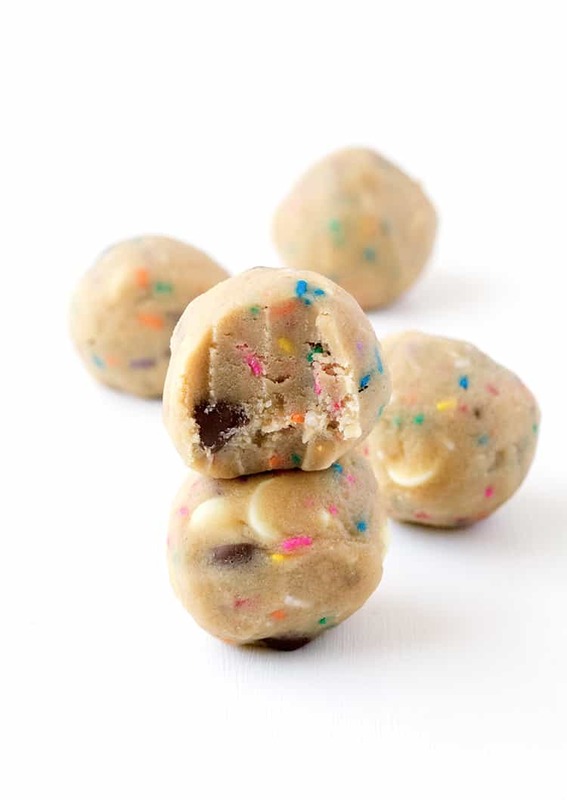 Egg-free cookie dough filled with colourful funfetti pieces and chunks of white and milk chocolate. Line a cookie tray with baking paper. In a large mixing bowl, cream butter and sugars using an electric mixer until pale and creamy. Add your vanilla and beat again. Sift in your flour, add milk and beat briefly until a soft dough forms. Then stir in sprinkles and chocolate chips. Roll teaspoon of cookie dough into balls and set them onto your prepared tray. Once you have finished with all the dough, pop the tray into the fridge for about 10 minutes or until the cookie dough becomes firm. 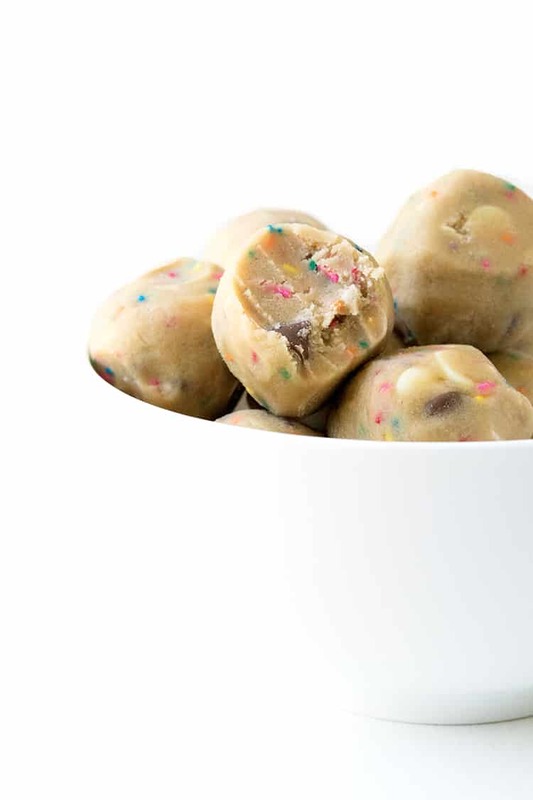 You can eat these chilled straight from the fridge, or you can let them come to room temperature for 10-15 minutes, if you prefer your cookie dough soft. Either way, they’re delicious! 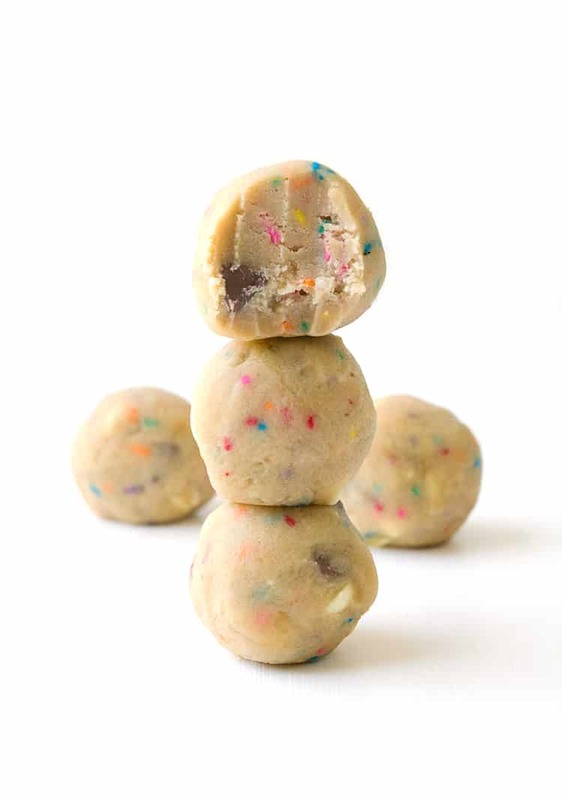 How many cookie dough balls does this make? I would love to try this recipe, but I’m American, and we don’t really have caster sugar. can I use powdered sugar or granulated sugar as a substitute?? Hi Isabel, thanks for getting in touch with me. 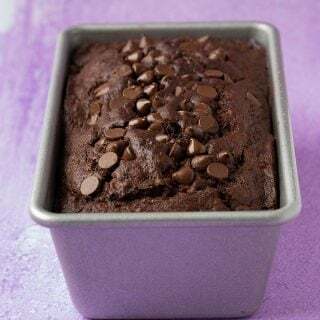 Sorry for the confusion, you can certainly use granulated sugar as a substitute, that will work perfectly 🙂 Let me know how you go! Aw thank you Nagi! 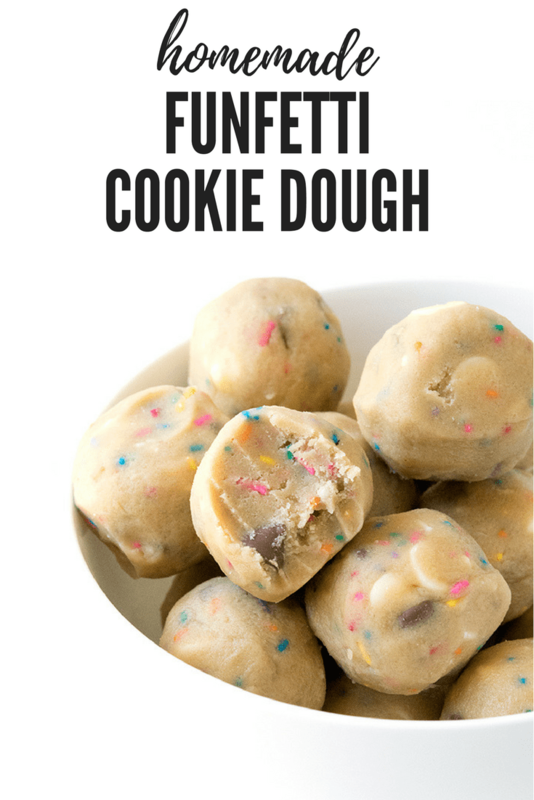 I will definitely have to put that on my to-make list, I am a cookie dough fanatic! Those cones are SO CUTE!! And I love the funfetti aspect, of course. One of the main reasons I make cookies is to eat the cookie dough. I almost need to double the recipe :p But when cookie dough is the main focus? Genius! Wow. Okay, I am so speechless right now. These look so amazing, I am just so lost for words! My mouth is seriously watering over these. 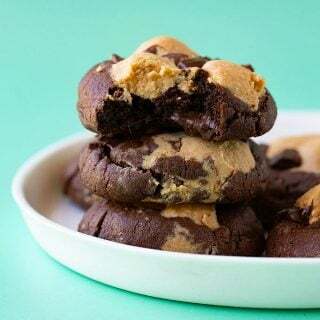 This is the ultimate cookie dough recipe – it looks sooooo soft and delicious. I can see myself becoming addicted to these!! Yum!!! Man, what I would have given for this recipe in college! You don’t know how many nasty cookie dough concoctions I made up when I was having a sugar craving! Jess! These are the most adorable little treats I have ever seen! As you probably know we are HUGE cookie fans in our house, so you can be sure that these will be very well received! I love the ice cream cone idea, and I can just imagine how great they would be for a kid’s party (or a big kid’s party!). Long live cookie dough! Those cookie dough ice cream cones are adorable!! I absolutely love that idea. I also love the idea of mixing them into some ice cream as I love cookie dough ice cream. These are so beautiful with the funfetti – I’m thinking they’d be so cute on a party table for finger food desserts. Fantastic, Jess! Jess these looks INCREDIBLE!!! I’m allll about the cookie dough. Love the idea of adding them to ice cream or making them into truffles! Though, let’s be honest, I’d likely scarf them all up looooong before they had the chance to be added to anything else haha. So I never really got cookie dough. Why not just bake the cookie? Hahaha I hear you Nicole! I think you are right, its what you DO with the cookie dough. But you can never ever go wrong with a baked cookie either!